Sport fishing at Put-in-Bay and surrounding lake Erie rivals that on any lake in the country, Walleye, yellow perch, smallmouth bass and steelhead trout fishing, you couldn’t ask for a better or more versatile fishery than Lake Erie and the shoals around Put-in-Bay. Fishermen from all over the United States flock to Put-in-Bay and the Lake Erie Island for our fishing. A drive-thru any State Park Boat Ramps parking area will show license plates from all over the midwest! The spring fishing season starts when the icy waters around Put-in-Bay’s winter season recede. Anglers begin taking walleyes from western basin reefs, Maumee Bay and Sandusky Bay soon after the ice flows disappear. Yellow perch fishing is also very productive, including many daily limits catches. Many hotels, resorts, and home rentals offer reduced rates in the spring and fall for anglers wishing to enjoy the thrill of fishing Put-in-Bay and its surrounding waters. No boat? Visit our Put-in-Bay Charters page where you will find many charter boat companies ready to take you fishing with the most modern boats and equipment. Remember that you must have a fishing license to fish the waters surrounding the Lake Erie Islands and remember that early spring waters in Lake Erie are still extremely cold so be sure to follow our safety tips when boating and fishing. The most common form of fishing adventure for groups is to hire a fishing guide. For just a few dollars, you can be legal when you fish the waters off the island. Safety Tips for spring boating around Put-in-Bay and the Lake Erie Islands. Useful links about fishing around Put-in-Bay and the Lake Erie Islands. Put-in-Bay’s number one sport fish is definitely the Lake Erie Walleye! “Perch jerking” is fun and affordable, and requires the simplest of fishing techniques. 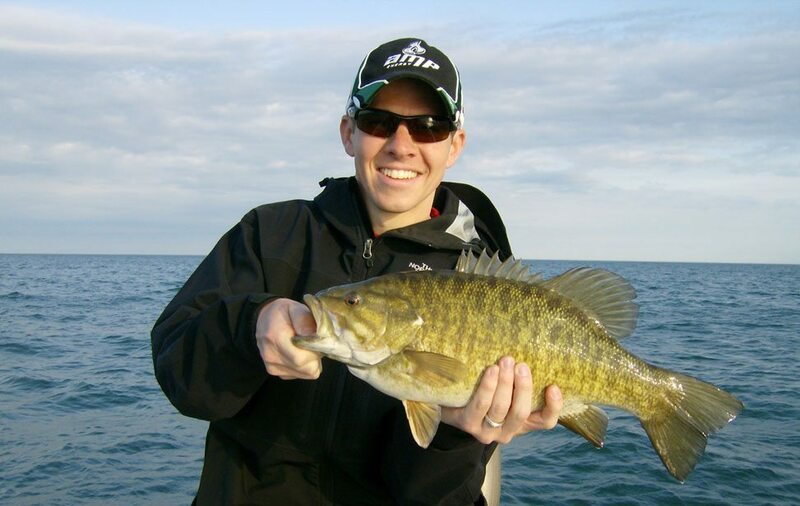 Knowing the habits of smallmouth bass is key to fishing success at Put-in-Bay.